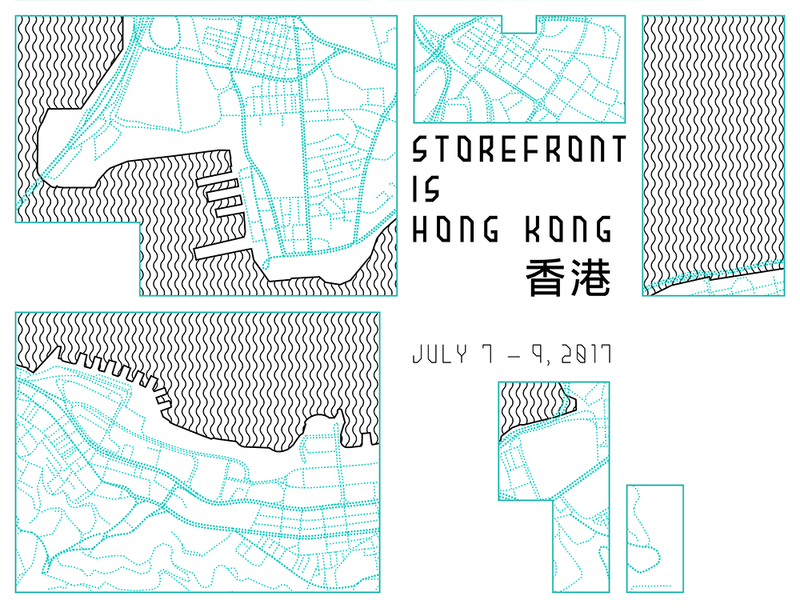 Storefront International Series: Hong Kong (Storefront IS Hong Kong) is a three-day series of events that take place in contested sites across the city of Hong Kong. Events seek to address the nature of urban public life, and to highlight the challenges and opportunities faced by Hong Kong residents. Local and global agents from various fields present and discuss their ideas and observations about various places within the city, bringing to the forefront a larger conversation about the cultural and physical landscapes of the region. 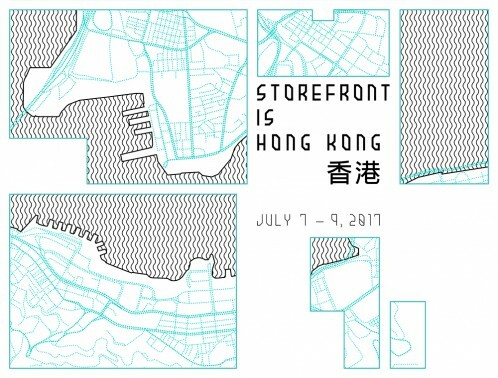 Storefront IS Hong Kong goes beyond social, disciplinary, and ideological boundaries, breaking established lines of division to produce spaces of collective thought, reflection, and ultimately, action. Storefront IS Hong Kong is presented in collaboration with the Hong-Kong based DESIGN TRUST (an initiative of the Hong Kong Ambassadors of Design). The events are part of Storefront International Series, a nomadic project that brings the experimental formats of Storefront’s events series to cities and territories around the globe. Establishing a transversal format of inquiry, Storefront International Series works with local individuals and institutions to identify and address the most pressing issues in a particular region through alternative frameworks of discussion. By bringing together agents from the fields of art, architecture, literature, politics, real estate, anthropology, economics, technology, design, and science with members of the public, the Storefront International Series aims to articulate local desires within a global context. Strategically located in the Pearl River Delta region of southern China, Hong Kong, officially an “autonomous territory,” serves as the gateway to modern China. The border between Hong Kong and mainland China is crossed every day by thousands of people who work or study on the other side. The infrastructure of the daily commute and the service economy has developed into a third space, inhabited by migrant bodies and defined by financial and cultural exchange protocols. This transnational community represents a rich and diverse engine for the economic and cultural growth of the region. The Hong Kong-Shenzhen border will be the site for a critical discussion around questions of migration and exchange, learning from local conditions and reflecting upon geopolitical borders on a global scale. The Reading Images Series invites participants to closely look into images and construct arguments, narratives, and observations that produce incisive readings about form, politics, gaze, and representation. *Please note: members of public must buy their own ferry tickets (event will take place in the upper deck) and arrange a Shenzhen visa independently. The ferry from Hong Kong to Shekou departs at 11:30 am. Please be reminded that all participants will have to depart the ferry on arrival at Shekou and independently arrange further transportation back to Hong Kong, via the ferry (1:10pm / 2:15pm / 3:35pm) or alternative border crossing. The concept of the contemporary sharing movement, increasingly ubiquitous, is influencing the exchange of goods, data, images, services, and spaces of residence and work globally. Hong Kong’s scale, growth, and political situation have favored various forms of sharing experiments. Peer-to-peer local technologies, the architectures of informal rooftop communities, and the urbanisms originated from the so-called “umbrella revolution” serve as points of departure for a discussion around the potential of the culture of sharing. This series will explore the spatial, social, public, and private consequences of the sharing movement for the construction of more aspirational forms of public life. This event is happening simultaneously in Hong Kong and New York. The Hong Kong event is kindly hosted by Mina Park. Food will be prepared by Eva Franch, Alan Lo, and Mina Park. The Paella Series is a format that aims to produce intense conversations on delicate subjects through a space of intimacy and quotidian action, in this case cooking and eating. Held in a state of floating attention and distracted thoughts, conversations between a select group of guests are private but recorded and archived for possible public access. “In mid-2014, the population of Hong Kong was 7.24 million, including 7.03 million Usual Residents and 0.22 million Mobile Residents. During the period 2010 to 2014, the population grew at an average annual rate of 0.8%.” Hong Kong’s limited physical territory and its population growth have increased the development of spaces for micro-living, augmenting the already high density of the city. Definition Series: Smallness, part of the Design Trust Futures Studio Public Review, examines how “smallness,” also understood as a form of agility in the face of seemingly fixed structures, can be operative in architecture. Addressing both public and private spaces, participants will present a definition of the notion of “smallness” and its impact upon the development of the city of Hong Kong. Design Trust Futures Studio is a new cross-disciplinary initiative. Experts in design will focus on future-oriented thinking with outcomes that are impactful to society or public space in Hong Kong and the Greater Pearl River Delta Region. With an inaugural theme of “SMALL IS MEANINGFUL,” the exploration and research of the Design Trust Futures Studio will initiate with an examination of housing and parks in Hong Kong, and will address how space is utilised, subsequently developing a series of new prototypes of micro-parks for Hong Kong. Definition Series: Smallness is hosted in partnership with Spring Workshop. The Definition Series invites participants to produce their own definitions of a given term, constructing a multifaceted edifice around particular words and their contemporary usage in specific fields, contexts, and practices. The notion of scale allows us to understand relationships between space and context; born out of historical precedents and conventions of knowledge production, scale is a shifting cultural construct. Discussions about scale during the end of the last century in Europe focused on reevaluating scale in accordance with emerging infrastructural spaces and typologies. With homogeneous city models appearing worldwide, ideas of scale have been disseminated as yet another force of globalization. What scalar conditions are endemic to the contemporary reality of global metropoli in Southeast Asia and elsewhere? What can be understood from this context in Hong Kong? Manifesto Series: Scale presents seven-minute manifestos by a group of participants who will each take a position on scale in Hong Kong. Manifesto Series: Scale is hosted in partnership with Spring Workshop. The Manifesto Series invites participants to denounce a present or past condition; proclaim an alternative present, past, or future situation; and indicate a strategy or method of action. The collective imaginary of a city is made up of recognizable icons, signs, symbols, ratios, chromatic palettes, smells, acoustic signatures, and other multiple modalities of perception. Moving through Hong Kong, from its continuous interior walkways to its sidewalks and onto the upper platforms of the city’s tram infrastructure, one perceives a city from particular types of vantage points. These perspectives, or geographies of perception, constitute an identitary signature of Hong Kong’s urban imaginary. Moreover, we now navigate the city with the aid of digital technologies that guide us each time through a different optimized experience. Our ability to read the city has shifted; neon signs are being substituted by pop-up ads, for example. In a time where the urban and the digital are colliding, how should we read the city? What forms of experiencing the built environment are obsolete, and which are emerging? Walking Series: Legibility is a series of city tours led by local and international experts that will each render visible and legible a particular layer of the urban fabric and public life. The Walking Series is an event that invites individuals both familiar with and foreign to a particular territory to lead a walking exercise through its streets or paths. Borrowing from examples of guided tours, the Walking Series unveils latent realities through a real-time experience of navigation and transit. Excess, a fundamental term in modern aesthetic theory, enables the self but also annihilates it. The high density of Hong Kong constitutes one of its fundamental identities, but when is high density too high? Cabaret Series: Excess presents a series of performances about the costs and benefits of high-density urban living, as well as explorations on more sustainable ideas of growth and development. Cabaret Series: Excess is hosted in partnership with Studio 9. Refreshments are kindly provided by The Coffee Academics. The Cabaret Series develops modes of expression that engage with contemporary discourses, audiences, and physical space in a playful and humorous manner. These events aim to produce new forms of communication between speakers, performers, and spectators through provocation, seduction, and immediacy.